This past June, a scheduled Knesset vote to recognize the World War I killings of Armenians as genocide was canceled due to a lack of government support. Because of Israel’s complicated on-again, off-again diplomatic relationswith regional powerhouse Turkey, “it hasn’t been able to do what many Israelis have ethically wanted to do — publicly recognize the Armenian genocide in the Knesset,” Prof. Hans-Lukas Kieser tells The Times of Israel from his office at the University of Newcastle, Australia. The political biography explores how Mehmed Talaat, more commonly known as Talaat Pasha, almost single-handedly masterminded the Armenian genocide. 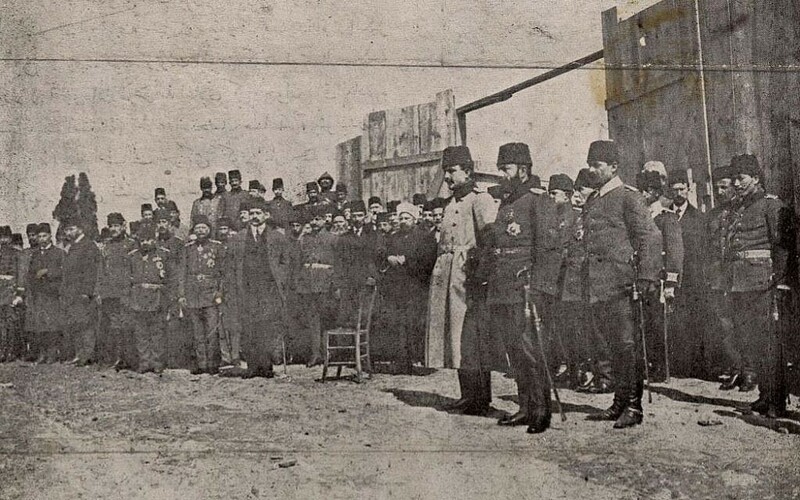 Armenian intellectuals in Constantinople (today’s Istanbul) were rounded up on April 24, 1915, followed by the systematic extermination of 1.5 million people, primarily because of their Armenian ethnicity. Even though Turkey continues to officially deny the Armenian genocide, historians unanimously agree that it is a historical reality. Kieser’s book claims Talaat operated a new messianic form of nationalism that sought to “dilute” non-Muslim identities in his attempt at new nation building in Turkey in 1915. Talaat was the “mastermind of his genocidal universe,” Kieser claims. The historian also says it was Talaat — rather than Kemal Ataturk — who laid the foundations for the modern Turkish nation state, which began in 1923. 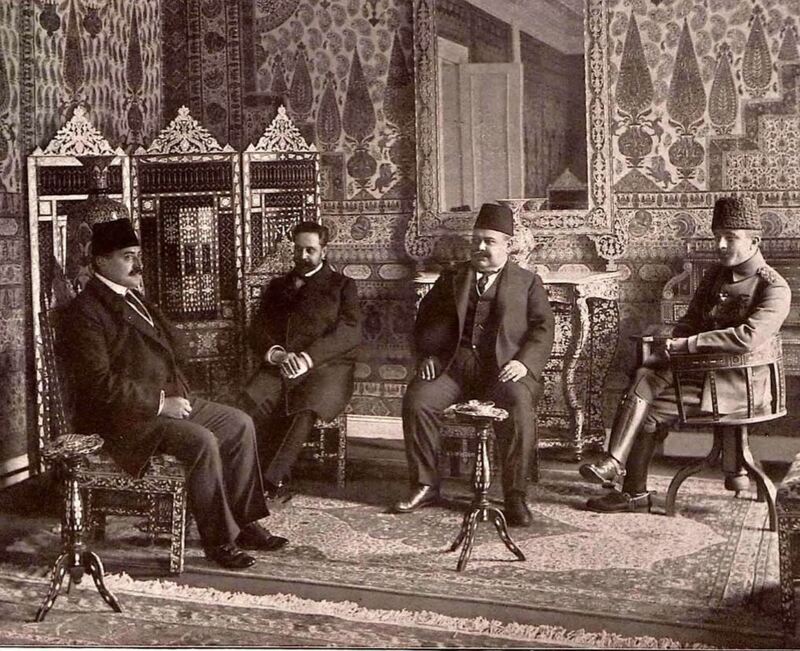 Talaat led the Ottoman Empire into World War I “in jihad,” says the historian, transforming Asia Minor into a Turkish national home and creating a “Turkey for the Turks,” as per the slogan at the time. 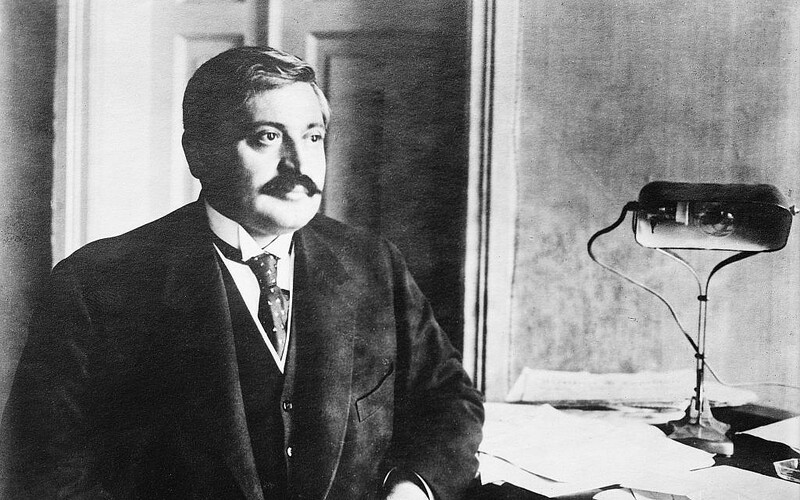 In the eyes of his admirers, however, Talaat is still seen as a great statesman, skillful revolutionary, and far-sighted founding father of the modern Turkish state, Kieser points out. This narrative is especially pertinent in Turkey today, as it increasingly takes a more authoritarian and Islamist approach to its political identity. 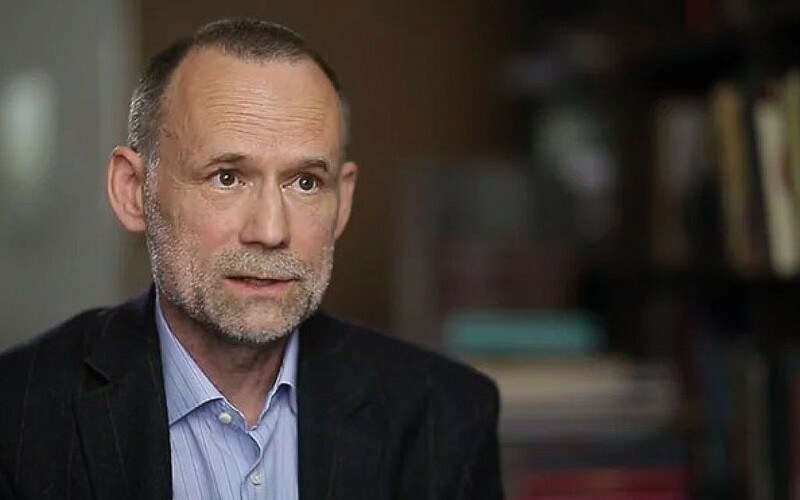 This is particularly notable, Kieser stresses, when it comes to the fundamentalist ideology of Turkey’s Justice and Development Party (AKP) and its authoritarian leader, Recep Tayyip Erdoğan. 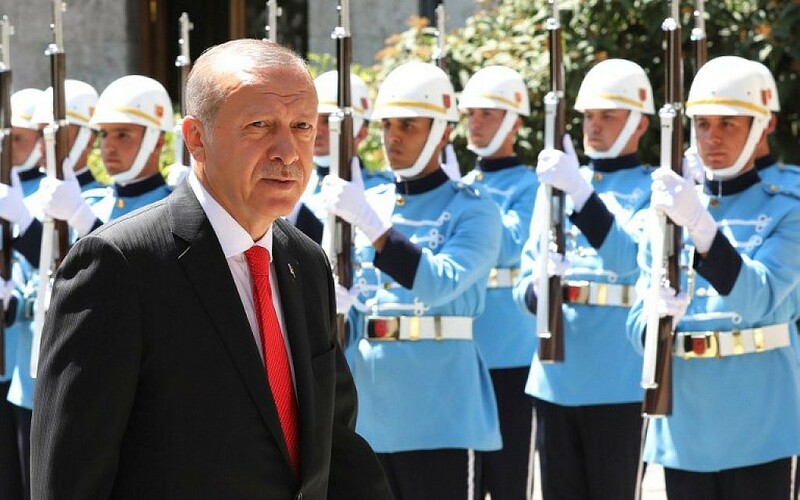 “But implicitly, Erdoğan and Talaat share a number of similarities where a democratic start eventually moves to a very authoritarian end,” he says. Israel’s recent decision to continue to remain silent on the 103-year-old genocide has garnered its share of criticism from historians, academics, writers and human rights activists — many from within Israel itself. According to Kieser, recognizing the Armenian genocide holds a relevance for Israelis today beyond the usual discussion of Israel-Turkey relations. Jews, he says, historically played a key role in promoting propaganda from the Ottoman side as Armenians continued to be slaughtered. Although this glorification smacked of propaganda and lies, Kieser claims many Germans bought into the words of the Jewish press at the time and were affected by its corrosive logic. The historian recalls how many Jews loyal to the Ottomans largely looked the other way where the suffering of Armenians was concerned. This included figures such as Alfred Nossig, who helped found both the General Jewish Colonization Organization (AJK) and the Zionist Organization (ZO). 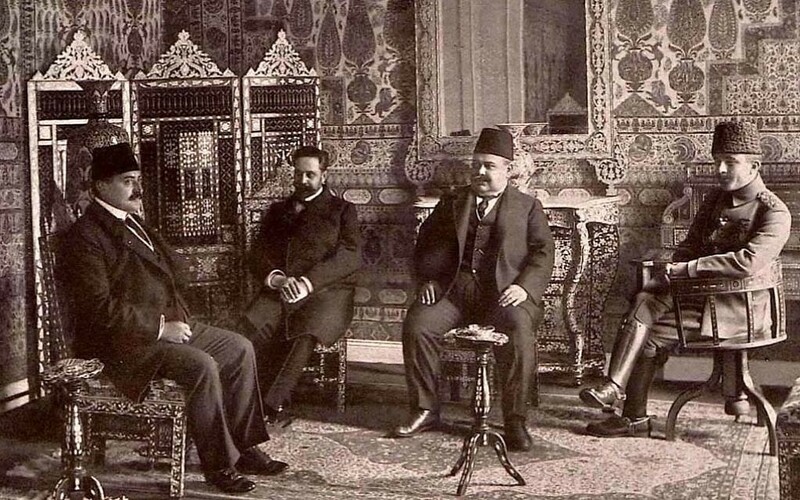 Both were set up for the purpose of Jewish lobbying across the Middle East and elsewhere, and subsequently encouraged intimate relations between Jews and Ottomans. However, Kieser is keen to emphasize that some historical context is needed. This was a crucial turning point in Jewish history — before the Balfour Declaration was announced in 1917. Jews were looking for diplomatic favors — from a myriad of countries — wherever they could find them, in the hopes of securing Zionism’s ultimate end goal: a Jewish state in Palestine. 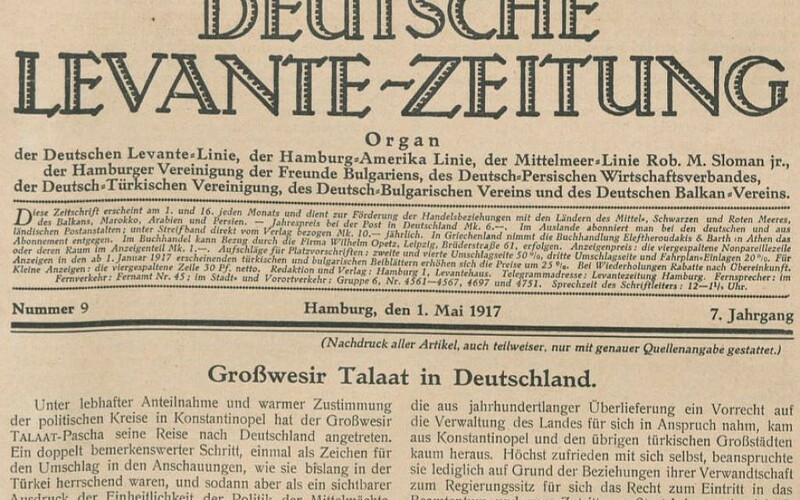 Consequently, a number of Jewish newspapers purposely tried to promote relations between Talaat and Jewish politicos and diplomats within the dying Ottoman Empire. They even grossly exaggerated these relations for propaganda purposes, Kieser says. Still, even for all of the positive Jewish press Talaat received during this period, his attitudes to Zionism were complex. On the one hand, Talaat did not want to be associated much with Jews and Zionism. But on the other, there were potential benefits in publicly courting Jewish political interests. In 1913, an article published in the Istanbul-based L’Aurore, a Jewish newspaper financed by Zionists, praised the benefits of Jewish-Turkish relations, even hinting that an alliance between Pan-Judaism and Pan Islamism in Turkey could be a viable political option — something Kieser says Talaat was seduced by. But the historian is keen to stress that Talaat in no way sympathized with Zionism, despite claims from both observers of the time and a number of historians since. “We know from what he said and what he wrote that he was in no way sympathetic with Zionism. It’s also clear from the negotiations that he only needed the Jews to a certain extent in order to survive internationally. And he was successful in this regard,” he says. “The Jewish Question” involved Jews jostling for political favors from the Ottomans, who still held considerable sway in the Middle East. But the power dynamics also worked the other way too, the historian explains. “Talaat’s relationship with Jews during this time gave him considerable international leverage that he successfully used to deflect attention from Armenia,” Kieser says. There were, however, some exceptions — notably, a group of young Zionists called Netzah Yisrael Lo Yeshaker (NILI), or, The Eternal One of Israel Will Not Lie, a pro-British espionage group in Palestine at the time. 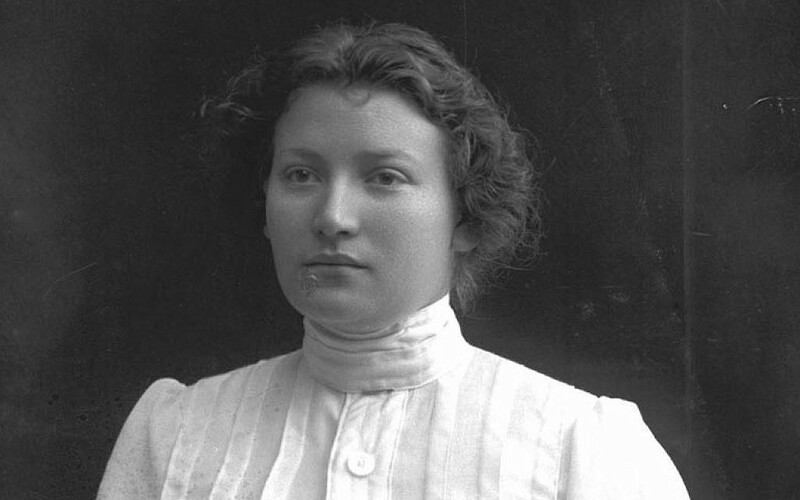 NILI felt a strong sense of solidarity with the Armenian victims, even writing reports which they sent out to the international community in the hope of waking them up to the atrocities. “Unfortunately, the silence carried on many decades after the war. So you had Jews in Israel and the Jews in Turkey who continued to help Turkey deny the Armenian genocide,” Kieser says. Kieser makes a point in the book of comparing the Armenian genocide with the Holocaust, and finds some similarities. 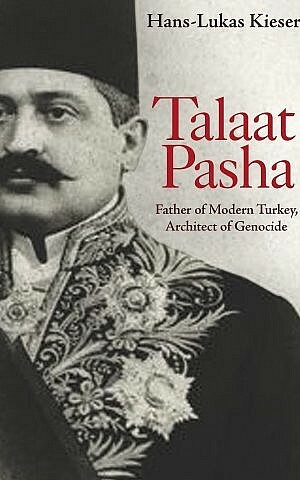 ‘Talaat Pasha: Father of Modern Turkey, Architect of Genocide,’ by Hans-Lukas Kieser. (Courtesy Princeton University Press) “Imperial cataclysm and a particular combination of circumstances in the first months of WWI made the Armenians an obvious target,” he writes. A little more than two decades later, Europe’s Jews were to experience “an analogous situation,” he observes. “Who, after all, speaks today of the annihilation of the Armenians?” Hitler asked his generals in his infamous Obersalzberg speech on August 22, 1939 — just days before Germany’s invasion of Poland. Talaat “certainly wasn’t Hitler,” says the historian, admitting that he is reluctant to make direct comparisons between both far-right demagogues. Nevertheless, both leaders share a number of similarities, Kieser says — they represented societies, states and political parties that embraced radical domestic violence to overcome what they believed were crisis and defeat.